HelloSign, founded in 2011, has been best known to this point as an e-signature company, but today it announced something a bit more substantial, a new product called HelloWorks, which allows the company to move into workflow, digitizing processes that involve complex forms. For many years now, HelloSign CEO Joseph Walla said, the way we moved paper processes into the digital realm was simply taking a paper form and converting it to a pdf. HelloWorks aims to change that. “We’ve created a brand new platform that gets rid of digital paper-pushing” Walla said. Company COO Whitney Bouck, who previously had stints with EMC Documentum and Box, said it’s really about transforming the flow of paper to digital and removing the pdf once and for all. 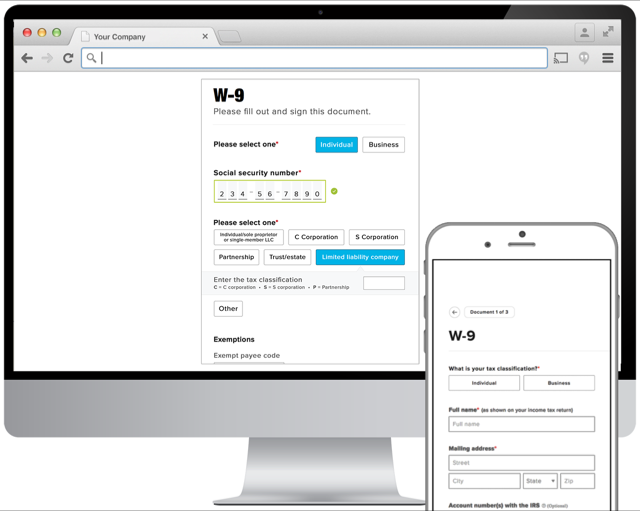 “Workflow designed to automate complex document workflows historically relied on pdf. We’ve substituted more of a guided tour,” she explained. That means they ask you questions up front, automatically populate data when possible and provide a more streamlined experience. As with any good cloud service, Bouck said it is attempting to hide the process complexity behind the scenes. For starters, they are looking at paper-heavy tasks like insurance claims, mortgage applications, house-sale closings, HR on-boarding — and that ilk. “Where we shine is in helping automate complex document-centric processes that need legal binding to complete,” she said. Bouck made it clear that this isn’t about becoming a general workflow engine that can do anything. They are concentrating on critical business processes that are generally tied to revenue, but which have been traditionally done on paper or pdf. Alan Lepofsky, an analyst with Constellation Research, said this approach could work for certain types of workflow. “If HelloWorks makes it easy to create the input forms, and they are engaging for the people using them, then I think it could be useful for structured content — contracts, applications [and so forth],” he said. But Lepofsky would like to see some built-in intelligence to help guide in creation, suggested responses, finding similar content and fact checking. Walla said simplifying the entry process for the user is definitely the goal, whether that’s filling in information the system knows from other encounters or hiding questions that aren’t relevant based on previous answers. For starters, the company will be helping customers redesign their paper processes into digital ones in HelloWorks, but some time later this year, it will be releasing an API that enables developers to build these workflows themselves without HelloSign’s help. HelloWorks will also likely have to move information in and out of legacy systems to access and share information inside the processes they are trying to automate, and will have to deal with the complexity of handling those interactions, while ensuring that the various programs which have access to this information fall within compliance guidelines. Walla said that they are aware of these kinds of requirements, and have taken them into account as they have developed the product. This shift isn’t insignificant in Lepofsky’s view, who likens it to when Box moved from a point solution to a broader enterprise platform play. “It’s similar to Box shifting from file-sync to content-centric collaboration,” he said. Similarly to Box, which had ambition beyond file storage, HelloSign appears to have greater aspirations than e-signatures — and this could be a first step to getting there.